A mere 60 years later, that number dropped to 5 per cent and pretty much stayed there. 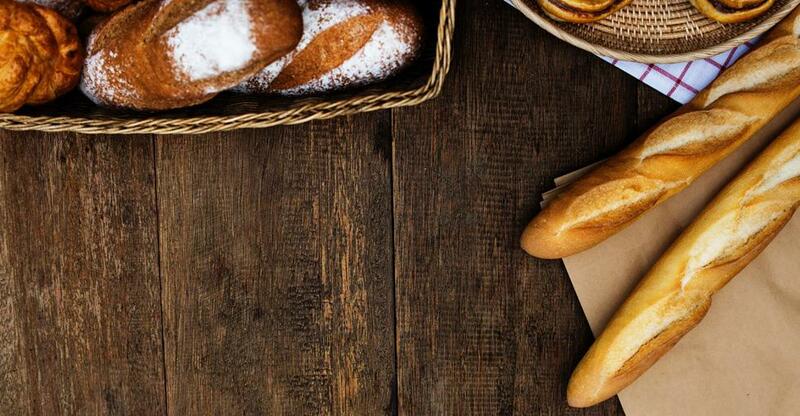 The remaining 95 per cent of households chose to purchase bread at their local bakery, giving rise to a buoyant industry that is still going strong today. To prove that, sales of unpackaged bread totaled CAD$ 1.4 billion in 2016 alone. If you have built up one of Canada's numerous successful artisanal bakeries, you are well-positioned to sell what you have created and reap the full benefits of your hard work. Here is why you should consider selling your bakery while it is at the top and how to maximise your profit and your personal contentment with that important decision. The Canadian bakery sector enjoys enduring popularity and offers considerable opportunities for success. Market fragmentation is on the rise as more and more artisanal bakeries join in. This puts you in a good selling position - there will be no shortage of willing buyers! As more players enter the market however, the importance of your unique selling point (USP) grows. To be successful in this sector, therefore, equal amounts of expertise and experimentation are needed. Trends are of central importance to the bakery business. Customers grow increasingly health-conscious, so low-sugar or sugar-free offerings sell ever better. Gluten allergies have given rise to alternative, wheat-free flours. Overall, the sector is in constant flux, which, rather than a strong challenge, presents a massive opportunity for carving out unique, profitable niches in a highly decentralised marketplace. Few industries are more attractive to join! There are numerous factors that influence the price tag you will put on your bakery business. The first of them concerns the property: Naturally, when you own your commercial property, you already have a large worth of assets to include in your valuation. But statistically, it is likely you are leasing. In this case, you can still profit greatly from a good location. Bakeries rely on walk-ins and passersby as much as, if not more than, on regulars. Therefore, a bakery on a busy corner downtown or right next to a commuter hub will bring you top dollar even if you do not own the brick and mortar. A professional bakery comes with specialised and highly valuable kitchen equipment. Even if you do not run the latest model ovens or mixers, well-maintained and carefully curated appliances give you the right to drive your price up. Last but not least, the revenues and the customer flow will speak to the profitability of your business and its reputation. To support your case, your concise and up to date books should demonstrate your success and continued growth! There are a number of practical considerations before you go ahead with the sale. Have all of the appropriate business permits at the ready so they can be passed on easily. Notify your staff of the impending sale; these include your landlord (if you are leasing), your regular customers, and your suppliers. Alerting others involved in your business will make for a smooth transition and provide further security to avoid any unpleasant surprises during the sale. Including, but not limited to: staff or suppliers leaving and any price increases. Just as importantly, prepare yourself mentally: You are letting go of a big part of your life after all. Communicate the impending change with family and loved ones. Plan for the financial influx - know what tax you will owe, where you will invest the money, or how you will distribute it between other ventures. Canadian bakers are a diverse group. There isn’t much need to be highly educated, but make up for it with expertise, experience, and passion. Look for a buyer who demonstrates the drive and the innovative spirit that helped you achieve your own success. Do not be shy about asking any pressing questions. Pass the torch to a worthy successor - It will maintain your reputation as well as your good conscience! These are some of the important considerations around selling your bakery in Canada. Once you have clarified them and have made your mind up, you will be in a great position to monetise your hard work building up a business in an intensely competitive, creative food industry and move on to new pastures.